Hello, I'm Silvia! I've been an acupuncturist for over 10 years. I studied and graduated in China where I did some practices in a Tradicional Chinese Medicine Hospital in Beijing. I also started studying aromatherapy few years ago. Im in the massage industry since 2016, that was when I started studying YMA (Yoga Massage Ayurvedic). I'm incisively studying and learning to amplify my knowledge in the massage therapy field. I do believe our body has the power and energy to heal itself, we just need to take care and listen to it carefully. 33B Connor Street - Burleigh Heads, Gold Coast 4220. 💆🏽‍♀️✨Anette started massaging about 3 years ago when she moved to Perth - WA. By the time she moved to the Gold Coast she has decided to take her studies in the massage field further and more serious to be able to follow her passion and help more people. That was when Anette started her Diploma in Remedial Massage. Anette has worked in several different Massage Clinics throughout whole time and even in Spas accumulating experience in massage. 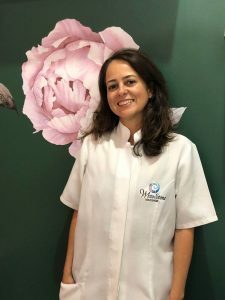 "Each place has given me great experience, more knowledge and new skills that have made me into the therapist I am today, and I'm very grateful for that! I love being able to help people and, making them feel better is my priority, part of my mission, passion and, path!". Myofascial Release is a type of therapy that involves placing pressure on key trigger points areas to release and finally relax the muscle that is causing pain and discomfort. This form of therapy also involves passively stretching out the muscle. 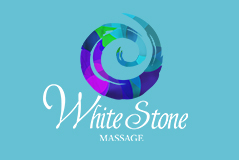 It is very effective when mixed with Deep Tissue & Sports Massage as well as Remedial Massage.